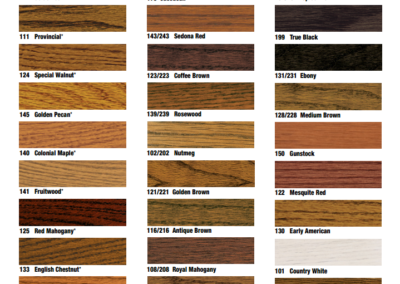 Solid Hardwood flooring is the most popular type amongst home owners today because of its durability and timeless look. It offers a warm look, natural feel and sophistication to any room. 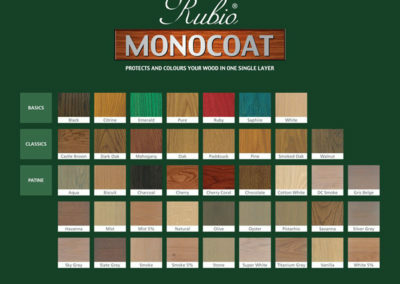 It is highly customizable, as you can choose from many combinations of stains and finishes, size and thickness of the planks, and even the patterns used in installation. Solid hardwood can be installed using the glue down method or nail down and can usually be sanded and refinished about 6 times. 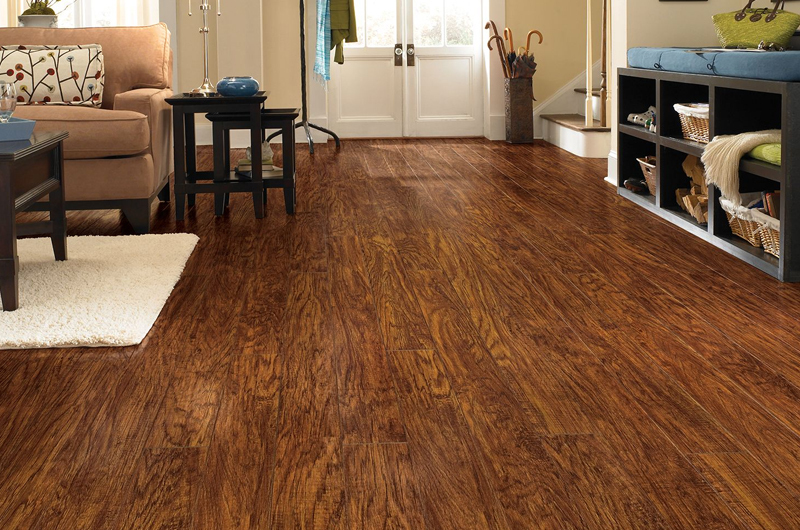 Laminate flooring is a popular choice, easier to install and less expensive. These floors are made of different wood-based materials that are laminated together and then given a wood grain photographic imprint on top of the board to give the look of real hardwood, hence its lower prices. Laminate floors are easier to clean and can last a long time, however, they cannot be refinished as hardwood. The installation of these floors is a floating installation. These floors look very similar to wood but are not made for refinishing and are a short-term flooring choice. 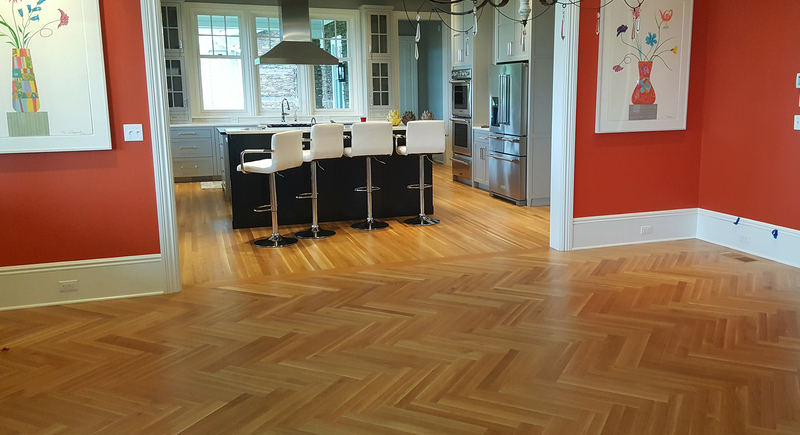 Engineered floors are similar to laminate floors in that they are multilayered, but are completely different in terms of durability and efficiency. Engineered floors have a plywood base and are more costly than laminate because the wear (top) layer is made of real wood, which can be re-sanded and finished over again. 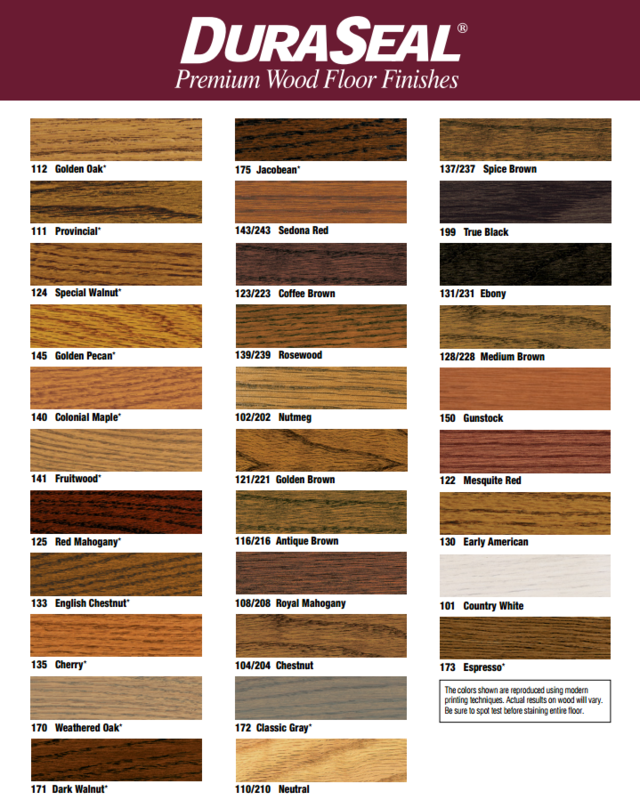 Depending on the wear layer thickness and wood specie, these floors can last as long as solid hardwood floors. They come in pre-finished or unfinished styles and installation methods can be nail down, glue down or floating (click-lock). 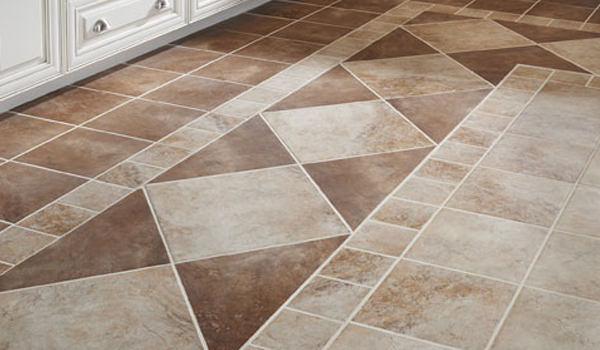 These floors are excellent in term of water resistance, and are perfect for bathrooms, basements and kitchens. They are made of colored polyvinyl chloride (PVC) chips formed into solid sheets that come in various thicknesses. 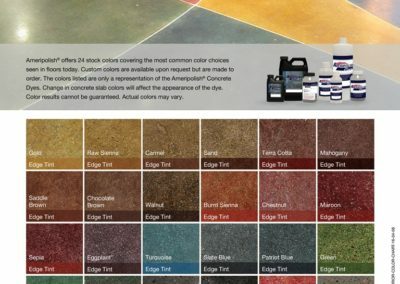 Because of it synthetic composition, these floors are excellent for high traffic areas and can last well over 25 years. Modern vinyl tiles are manufactured to a wide variety of textures and colors including tones to resemble stone and wood. Installation options are floating or glue down. 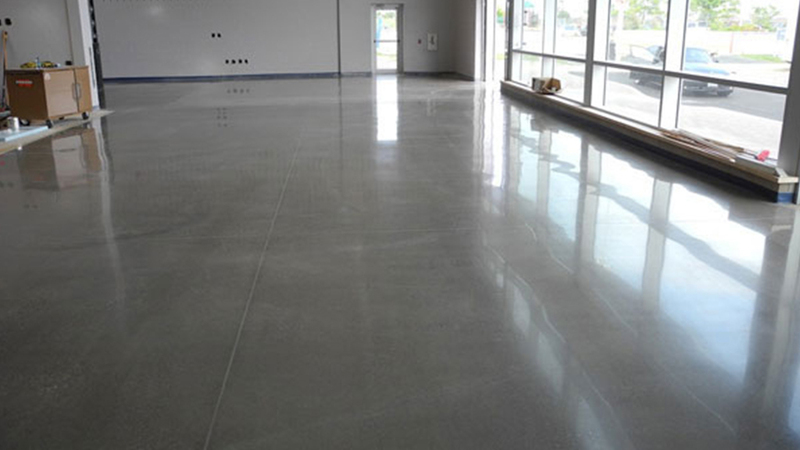 Polished concrete is concrete that has been treated with chemical densifier (to close up the pores) and ground with a series of mechanical grinding tools to achieve the desired smoothness level. 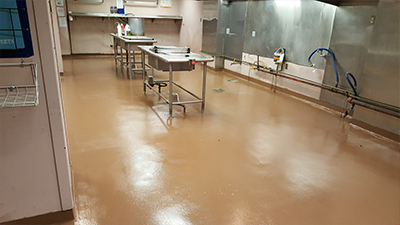 Stains and dies can be applied to the floor before sealing for added color, look or feel. 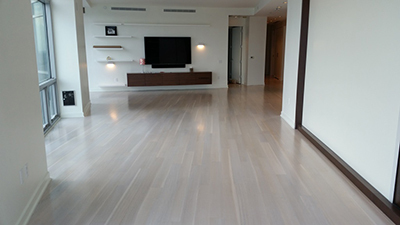 These floors are used in every type of environment – from commercial to residential and low to high end properties. This is an incredibly popular choice for environments that require easy maintenance, high resistance and high traffic. It is considered a sustainable floor choice because many times, it makes use of the concrete that is already on job sites. 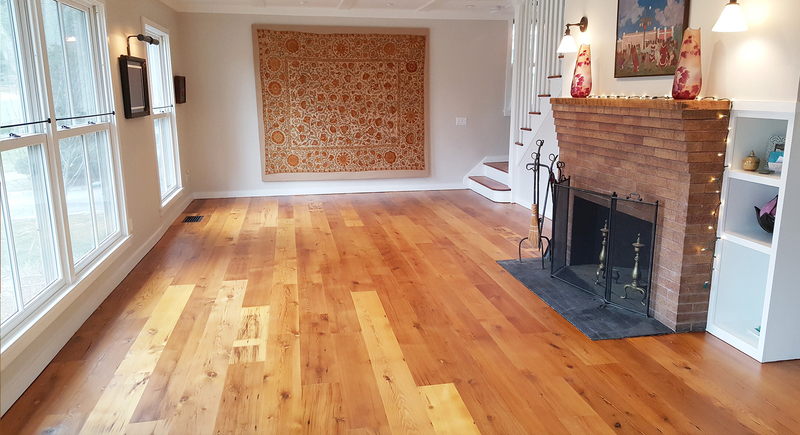 These floors have a life expectancy that is considerably greater than other floors if maintained correctly (100+ years) and are the perfect floors for radiant heat. This is a product applied on top of concrete floors producing a hard abrasion-resistant film on top of the surface. They are known for their excellent adhesion and chemical and heat resistance. They are available in clear or can have color added to them, and are ideal for concrete countertops and food preparation areas. These floors are one of the most artistic kind and one of the most customizable. It is manufactured hard-wearing material, such as ceramic, porcelain, and even glass. 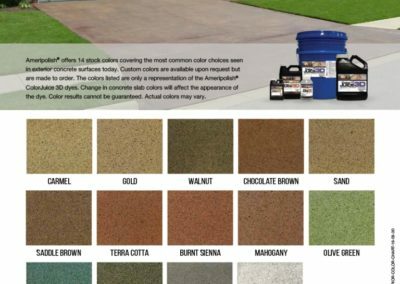 It can be used both in interiors and exteriors, covering roughly any surface: roofs, walls, sidewalks, tabletops, showers. Customizing your floors with tiling is amazing as you can mix different colors, sizes and textures and create a truly one of a kind space for your environment. 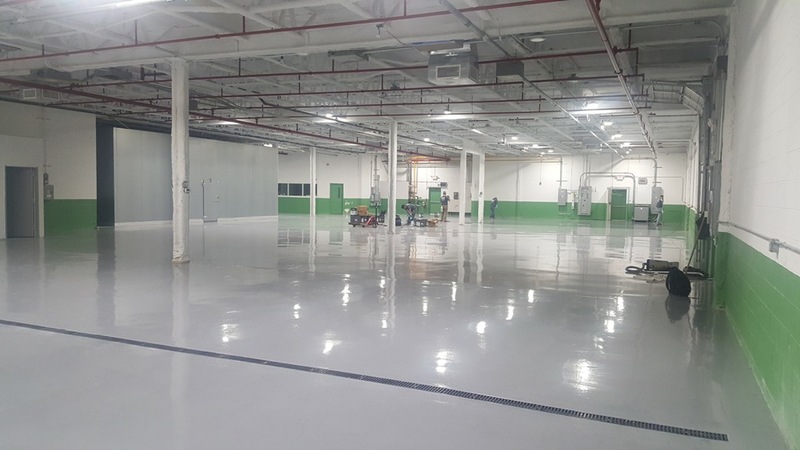 The maintenance is second to concrete as it can simply be mopped with soap and water, requiring no touch cleaning products. Tiling is often a popular choice for bathrooms and kitchens where it offers spill resistance and cleanliness. 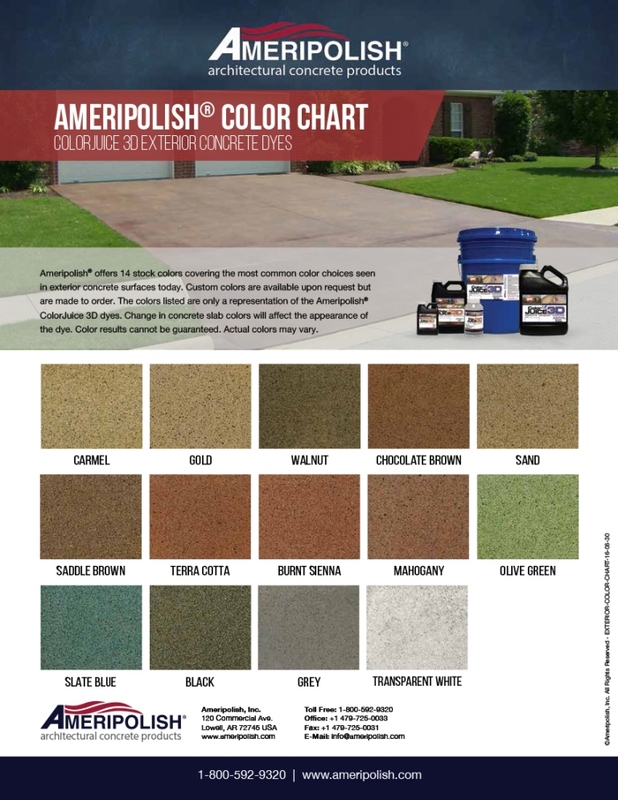 DuraSeal® Penetrating Finish is a semi-transparent stain formulated to seal, color and provide exceptional durability. This rich blend of oil and resin gives hardwood floors a soft, satiny sheen. 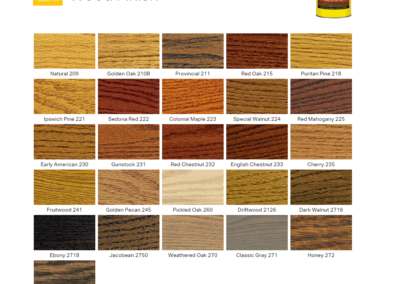 DuraSeal® Penetrating Finish creates a bond with the wood that won't scratch or wear away. Can be used with or without a finish coat. 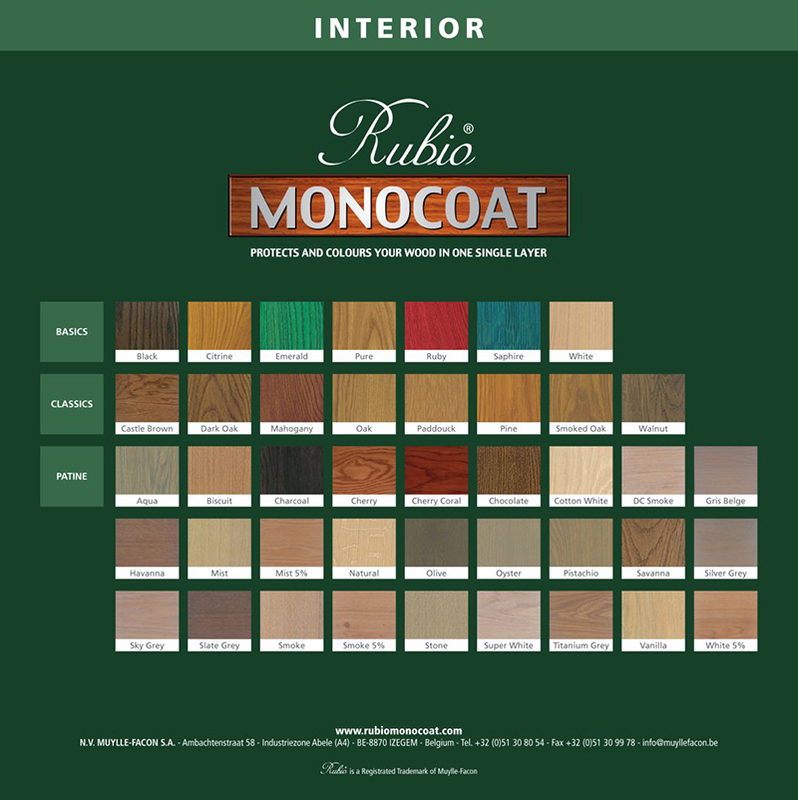 Rubio Monocoat Oil is made of natural oil based ingredients which generate a molecular reaction with the uppermost cellulose fibres of the wood. Once the fibres are bonded with the oil, this results in a durable colouring and protection in one single layer. 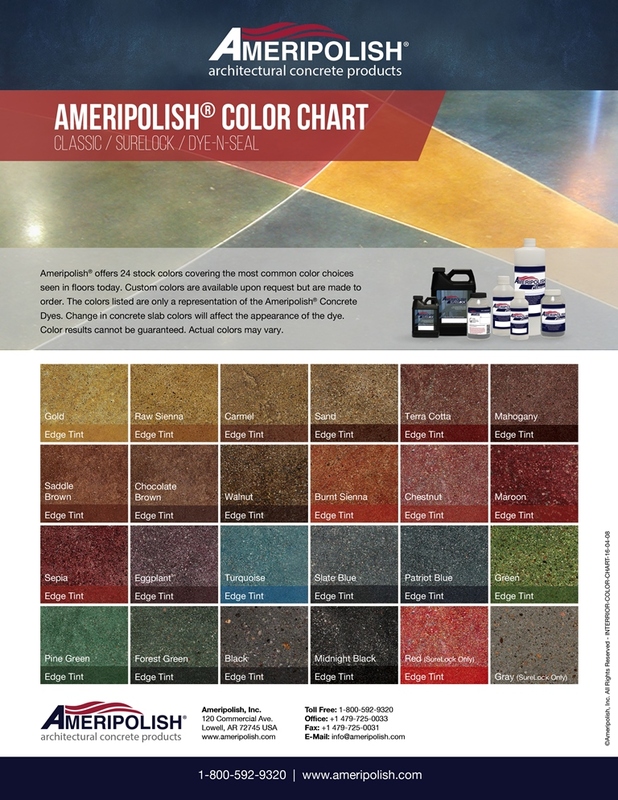 Cosolideck® by Prosoco is a penetrating translucent color dye for interior concrete floors. 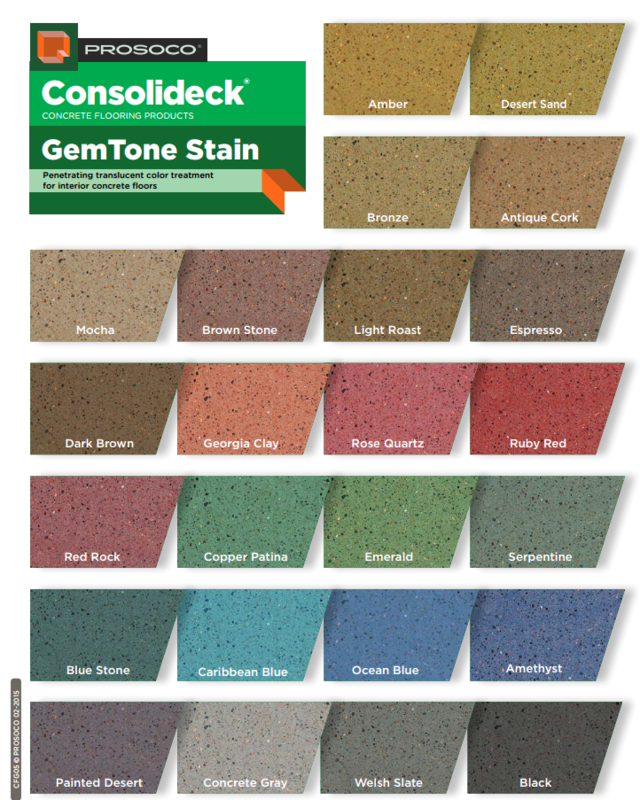 Consolideck® GemTone Stain transforms dull grey concrete into decorative, low maintenance finished concrete flooring. Engineered floors are similar to laminate floors in that they are multilayered. The layers in engineered floors however are made of plywood. These floors are more costly than laminate because the wear (top) layer is made of real wood, which is the price-determining factor in terms of engineered floors. Depending on the wear layer thickness and wood specie, these floors can last as long as hardwood floors. These floors can be pre-finished or unfinished. The difference here is that unfinished floors are finished on site and pre-finished floors come ready to be installed. The installation methods can be nail down, glue down or floating (click-lock). 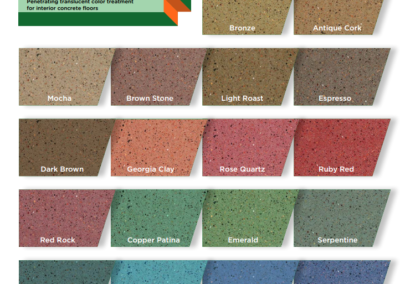 DuraSeal® Penetrating Finish is a semi-transparent stain formulated to seal, color and provide exceptional durability. 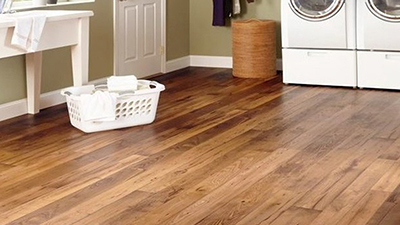 This rich blend of oil and resin gives hardwood floors a soft, satiny sheen. 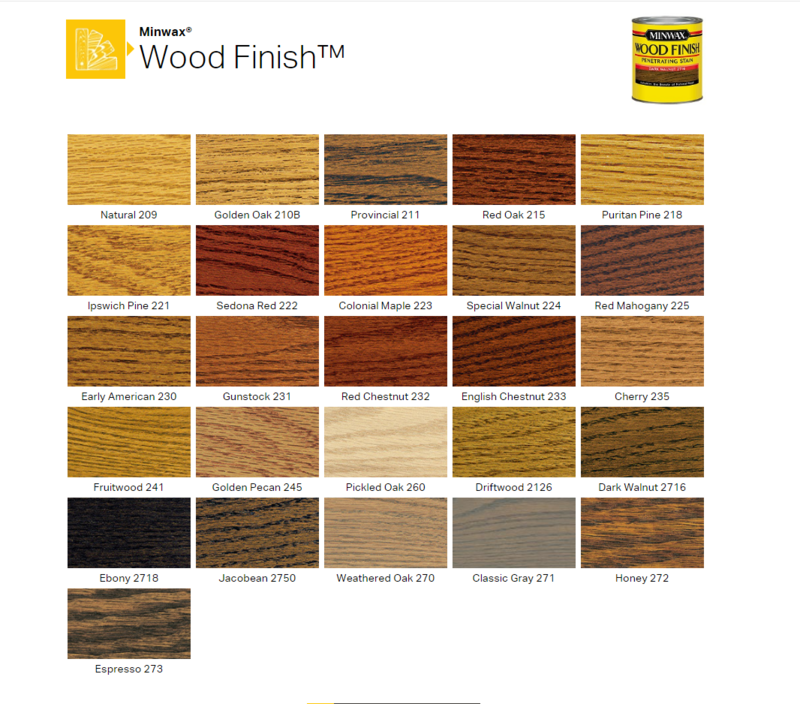 DuraSeal® Penetrating Finish creates a bond with the wood that won’t scratch or wear away. Can be used with or without a finish coat.